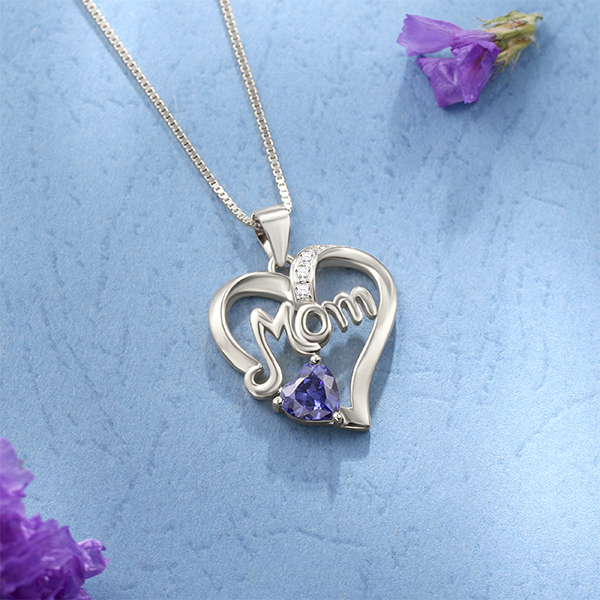 Your mom is always there to encourage, guide and comfort you. 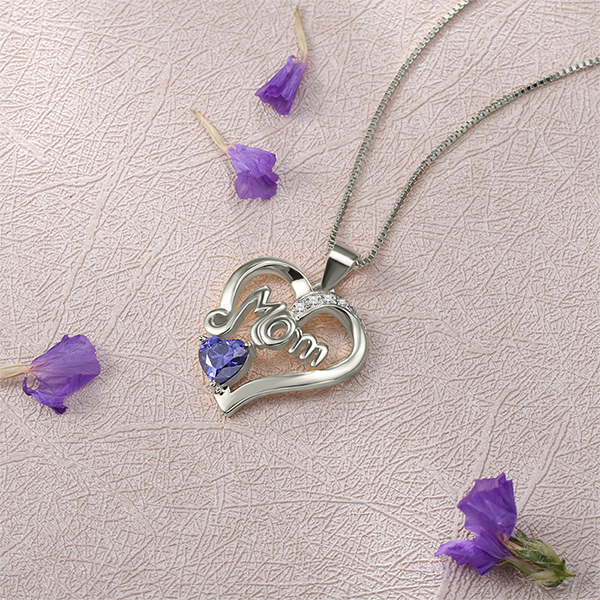 Her love is a precious gift you carry with you wherever you go. 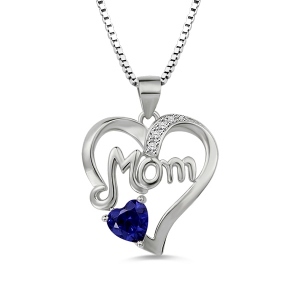 Now, give Mom an enduring reminder of your love with Open heart pendant necklace featuring the word "Mom" with a heart shaped created blue sapphire stone to express the mother’s boundless love . This Sterling Silver Open Heart Necklace is a perfectly simple way to show how much you care. 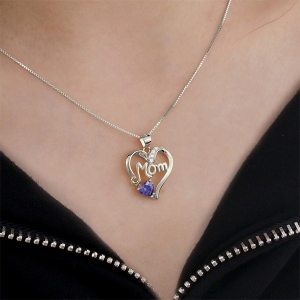 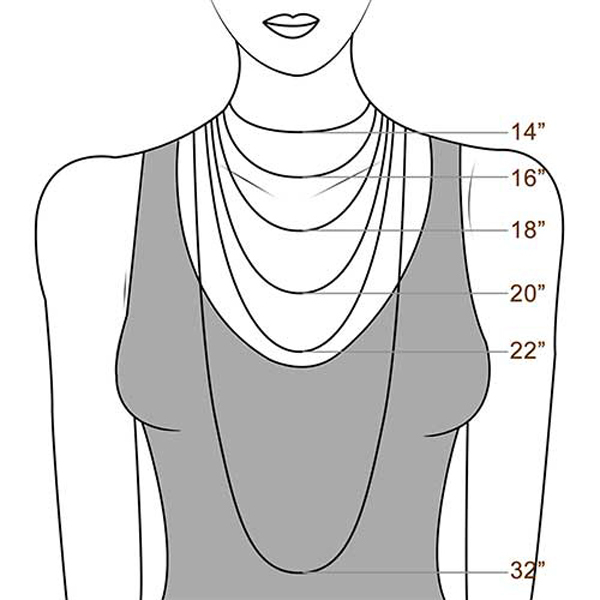 It is a very thoughtful, unique jewelry gift for Mom in this Mother's Day.